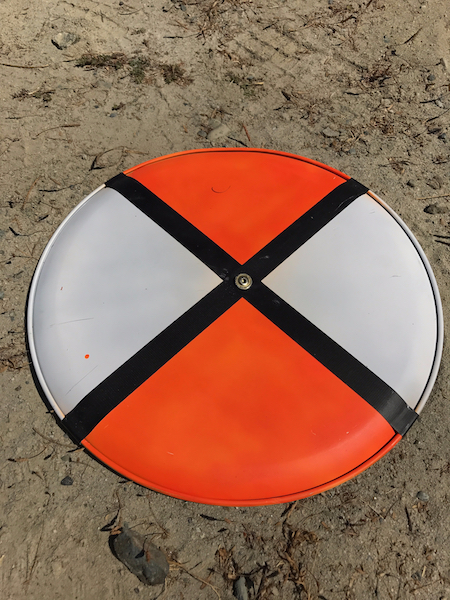 Set your ground control points using an RTK unit and easily identifiable markers. Check out our detailed instructions here. You can also ask your projects surveyor for the ground control points. Click the + button in the bottom toolbar and select GCPs. Then drag and drop a .csv or .txt file with your GCPs or click the + Import GCPs button and locate the file. This only needs to be done once for each project unless you collect additional GCPs at a later date. 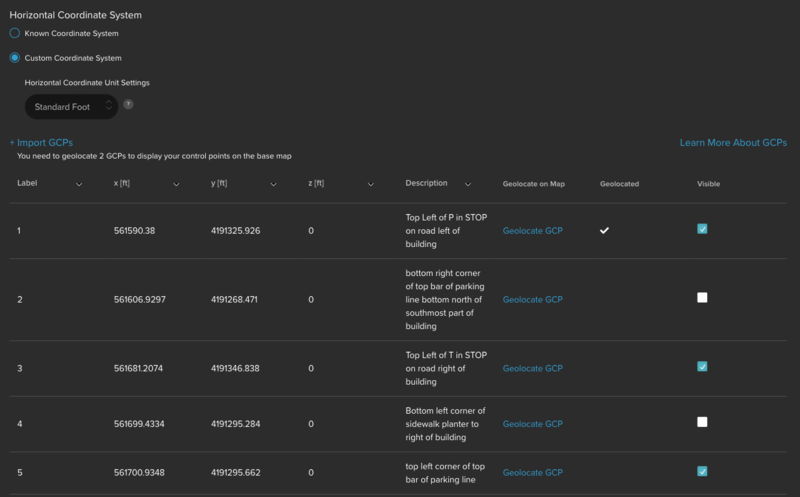 By default, WGS 84 is selected but you can type in an EPSG codes to find your coordinate system or choose to use a Customer Coordinate System. 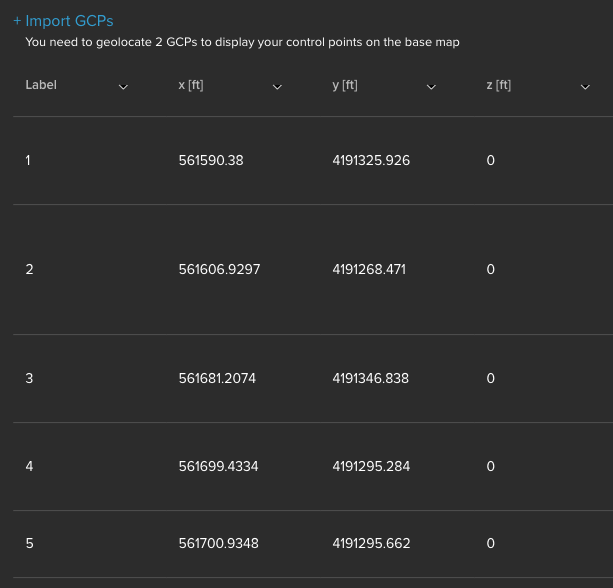 The GCP tool expects coordinates to be in x, y, z order. If the coordinates are y, x, z you will receive a warning. Change the order using the drop-downs at the top of the columns. You’ll get a view of the Ortho. Use the ortho to locate the control point and click on it. You need to do this process for two Control Points. This process is used to place the GCPs over the ortho so that we are able to choose the right photos for the control point. After uploading your GCPs turn on the Ground Control Points toggle and click on Georeference GCPS in the toolbar. First, click on the GCP (circle with X) you want to tag in photos. The GCP’s border and X will turn blue and it will mark in light blue the photos that possibly contain the mark of the control point. Then select the photo you want to tag the GCP in. A popup with the photo will appear. You can zoom and pan to find the GCP. 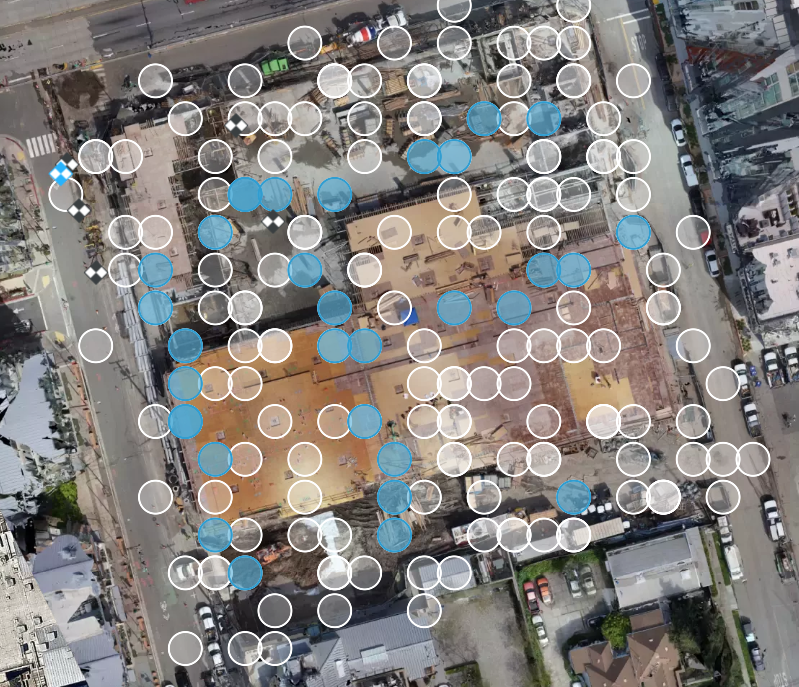 For best results try to tag the pixel in the middle of the GCP. Click Save once you've selected the middle of the GCP. Repeat this process until the GCP is completely blue, which required four photos. 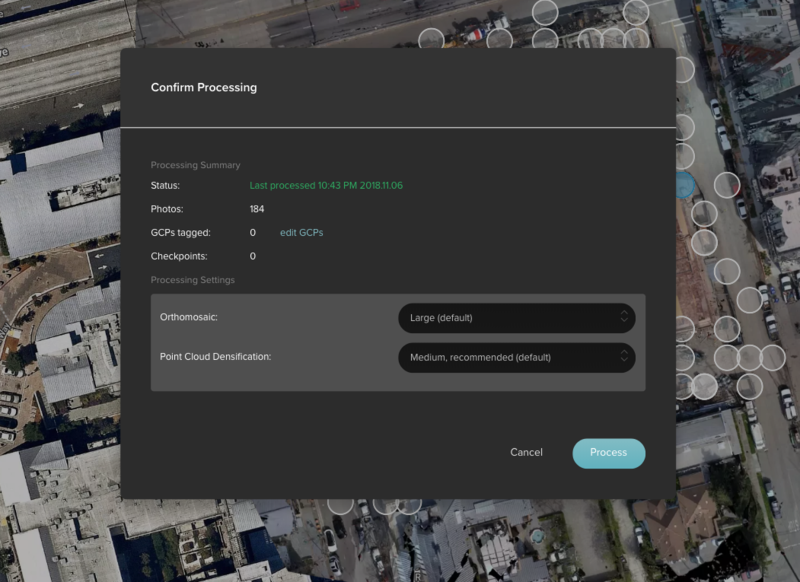 You can process with fewer photos per GCP but the more the better. After tagging the photos to your GCPs, you may choose to use some control points as “Checkpoints”. 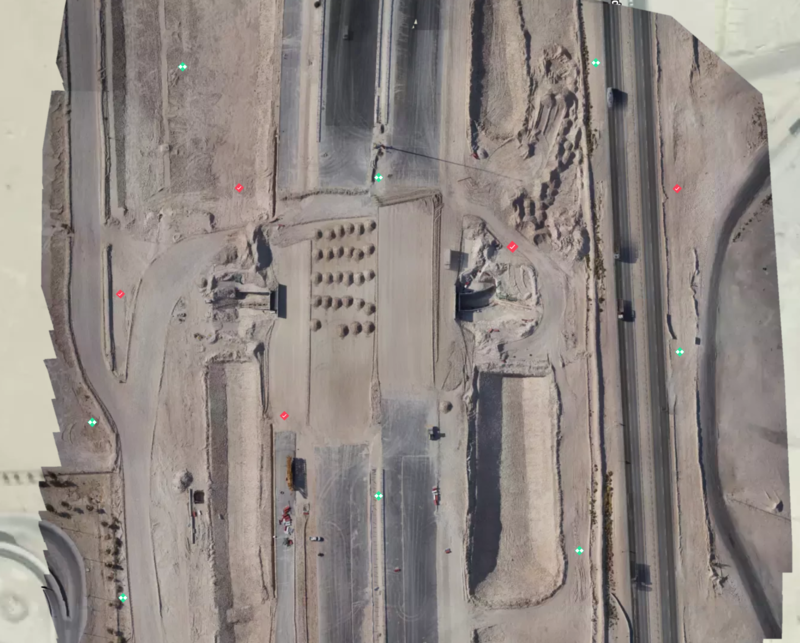 Checkpoints are not used to enhance the accuracy of the outputs, they are used to independently measure the accuracy of the results by comparing the surveyed location of the control points to their location in the processed outputs. Checkpoints should only be used if there are at least 5 other points available to be used a Control Points (GCP). Checkpoints should be inside the site, not on corners. To obtain the most conservative accuracy value, place checkpoints as far from GCPs as possible. After validating accuracy with checkpoints, reprocess flight using all points as Ground Control Points to further enhance accuracy. After you have tagged at least two GCPs in two photos each you can process. For good results, we recommend tagging at least 5 GCPs in 4-5 photos each. Click the Process button to process with GCPs. 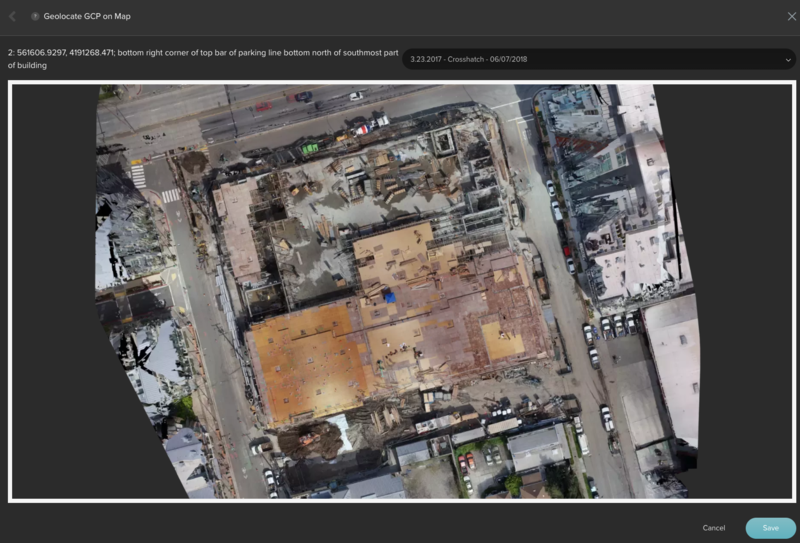 With georeferenced orthos Site Scan’s analysis tools become even more powerful. 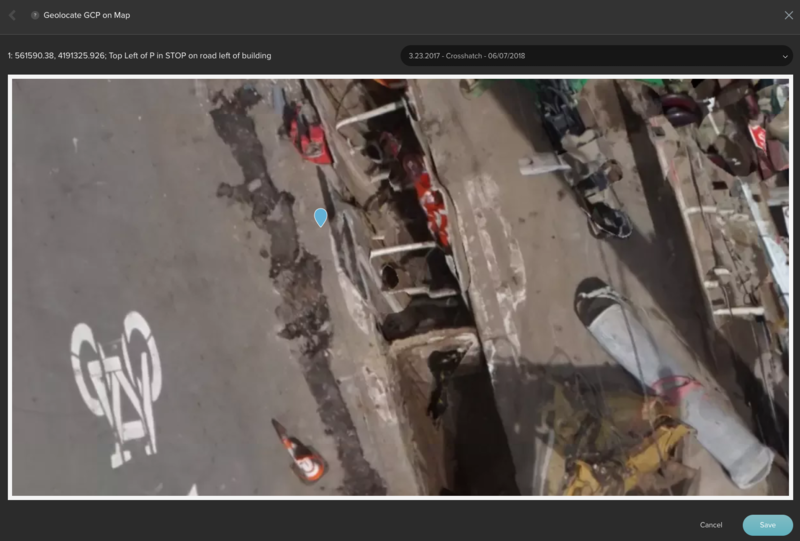 Overlay, compare flights, and measurements benefit from the improved accuracy of georeferencing. 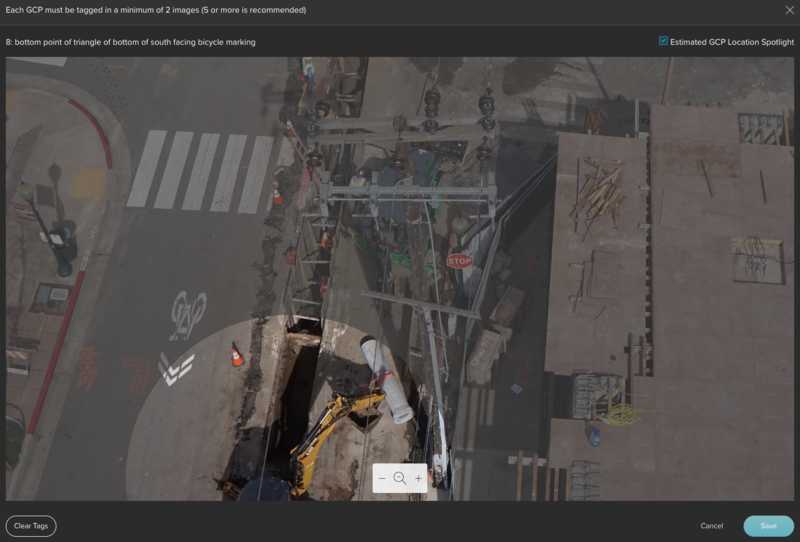 Additionally, your ortho, DEM, and point cloud (.las) will all be georeferenced in your desired coordinate system.